The reason why I have such a dilemma in deciding when to go to Cull & Pistol is that the Connecticut-style lobster roll is only served on the lunch menu (served from 11:30 am to 3:30 pm), and the dinner menu (served from 5:00 pm until close, on the weekend starting at 5:30). If you come in between those times, there’s no lobster roll to be had (although they do serve a cold lobster roll-style slider during happy hour). Luckily, from 4:00 pm to 6:00pm on weekdays, there is a delicious alternative to the lobster roll–Cull & Pistol’s happy hour and raw bar menus. If you sit at the bar during happy hour, you can order raw oysters for $1 each. The bar area fills up quickly, so you have to be quick to get a spot. On our last visit, we tried two of each type of oyster available (1o varieties in all), along with two types of clams. We also ordered a half lobster, which was nicely presented. 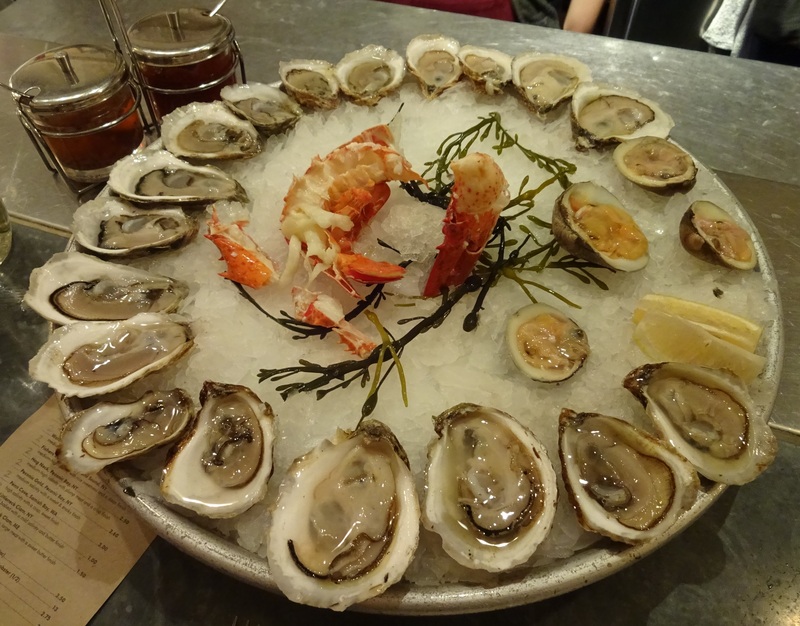 The raw bar menu changes regularly, depending on what’s fresh each day. So what types of oysters did we get to try this time? Beau Soleil, from Mirimichi Bay, NB; Summerside, from Malpeque Bay, PEI; Irish Point, from Hunter River, PEI; Mayflower Point, from Cape Cod Bay, MA; Pleasant Bay, from Orleans, MA; Watch Hill, from Winnapaug Pond, RI; Fishers Island, from Block Island Sound, NY; Hog Neck, from Peconic Bay, NY; Peconic Gold, also from Peconic Bay; and Penn Cove, from Sammish Bay, WA. 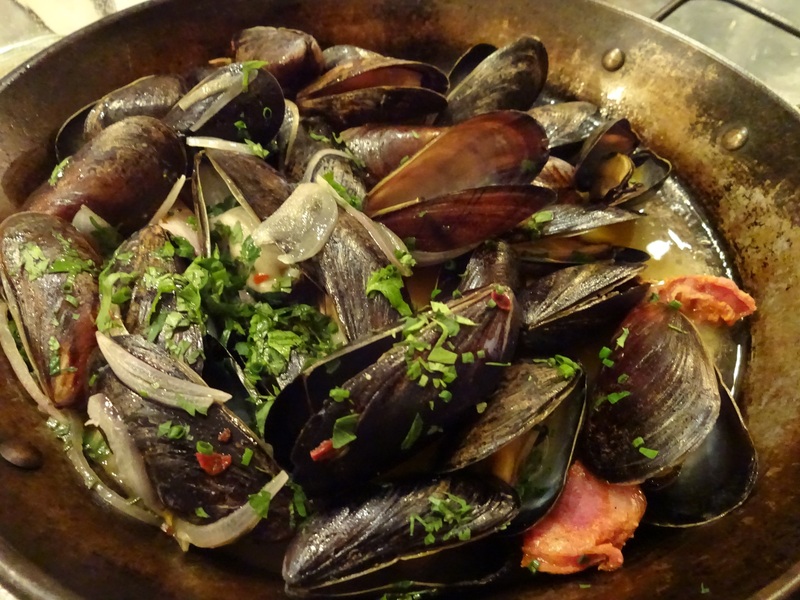 We also had Little Neck Clams from New York, and Topneck Clams from Maine. Our bartender was knowledgeable about each variety, giving us great descriptions of the flavors and texture of each oyster. 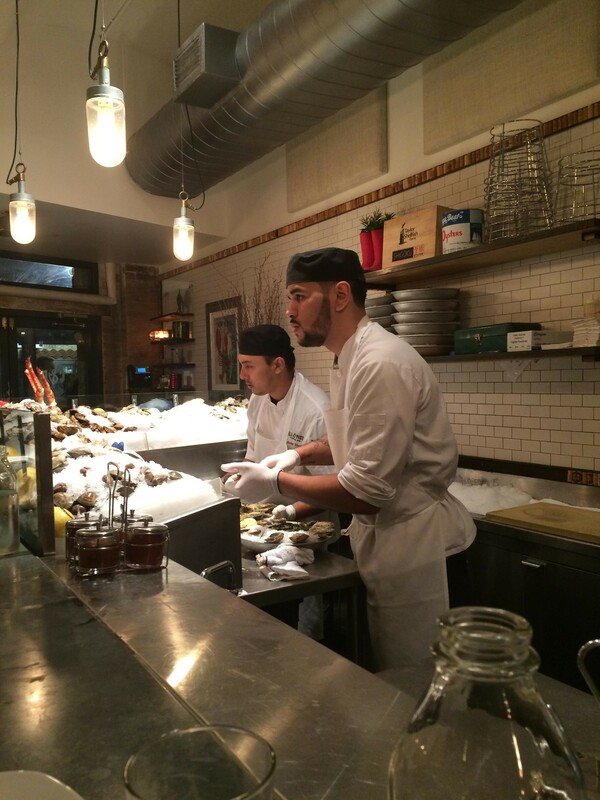 One of the reasons why sitting at the bar is so much fun is that you can watch the oysters being shucked. These guys are experts at this, quick and precise! The oysters were clean and well-prepared. a Charred Kale Caesar Salad. I’ve not been to the Cull & Pistol yet for dinner, but I definitely will be trying it sometime soon! Mouthwatering! Had a chance to visit NY on business once but vanished in smoke…. 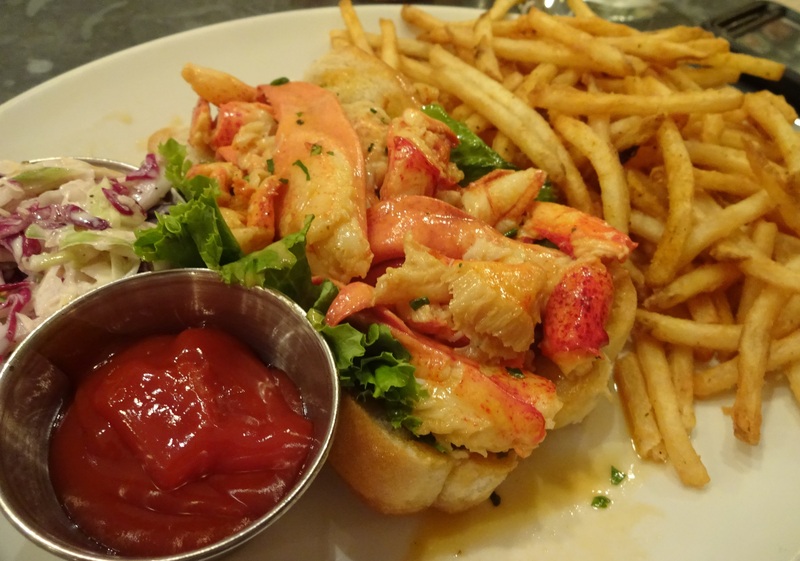 Lobster Roll and Cram Chowder are the top priorities on my MUST EAT list though…. Must come visit someday!